SEOs always aspire to get client links on the BBC. It's worth it but it's not easy. First off; you need the BBC to write about your client or write about a story in which your client is involved. Then the BBC has a strong tendency to link to the clients corporate site - many people say that's the BBC's policy, but I can't find that written down anyway. 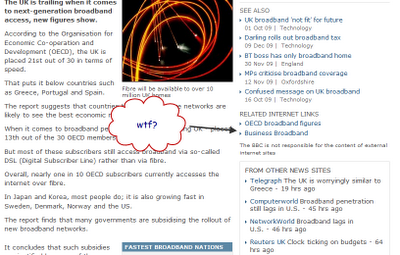 I give you this story about a UK-based test of super fast broadband. The companies involved in the story are: Organisation for Economic Co-operation and Development (OECD), BT and Virgin Media. 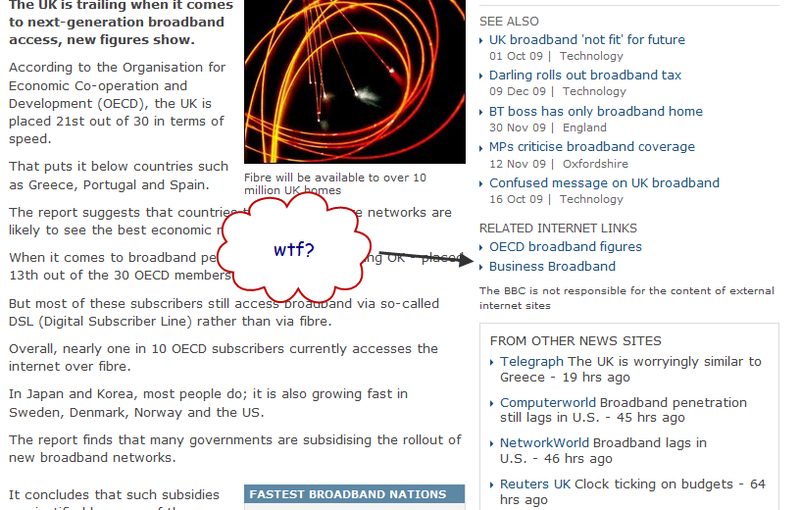 It might come as a surprise that the BBC is linking to Opal (part of Talk Talk) in the related links section. It might come as even a greater surprise that the BBC is linking to a product page within Opal. It's linking to the product page using the money term keywords. What do you think? Is this an extremely curious choice of link by the BBC? Or is my SEO-addled mind seeing phantoms in shadows? Update: It's the day after this post first went live; less than 24 hours later, and the link has been removed.